The flaw, discovered by researchers at IoT security startup Senrio as part of their analysis into consumer and enterprise device vulnerabilities, affects D-Link’s DCS-930L Wi-Fi cameras, which are designed for home video monitoring. The security hole is a stack overflow in a service designed to process remote commands. While experts have only conducted a successful attack on DCS-930L cameras, they believe the flaw could affect other D-Link products that use the same vulnerable component. “The vulnerable function copies data from an incoming string to a stack buffer, overwriting the return address of the function. This vulnerability can be exploited with a single command which contains custom assembly code and a string crafted to exercise the overflow,” researchers explained in their advisory. “The function first copies the assembly code to a hard­set, executable, address. Next, the command triggers the stack overflow and sets the value of the function’s return address to the address of the attacker’s assembly code. The vulnerability allows code injection and causes a password reset, granting the attacker remote access to the camera feed,” they added. Senrio told SecurityWeek that it reported the vulnerability to D-Link and is currently working with the vendor to address the issue. Experts said the flaw is not difficult to exploit by malicious hackers, and since Amazon ratings indicate that this is a highly popular device, there are many potential victims. 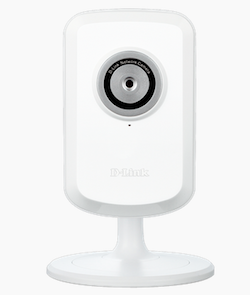 This is not the first time vulnerabilities have been found in D-Link’s DCS-930L camera. Last year, researchers found a high severity unrestricted file upload flaw, and in January, experts demonstrated how hackers can reprogram these devices to turn them into persistent backdoors. Senrio’s disclosure comes just as the company announced its emergence from stealth mode with the launch of an IoT network security platform. The product is designed to identify vulnerabilities in networked embedded devices (NEDs) such as the ones used in critical infrastructure, healthcare, and corporate environments. The platform also provides visibility into the IoT network, it profiles devices to identify behavioral anomalies, and identifies risky devices and insecure device configurations.